In the medical field,Lead glass is also known as medical X-ray radiation lead glass,which has been used for X-ray rooms,CT,ECT,PET,CT-PET and X-ray photography room widely,and for protection room,window protective shield on the door,nuclear medicine and other operations shield.Followings are the brief introductions of lead glass protective measures offered by MSL(Medical supplier for long-term cooperation),a Medical Devices Co.Ltd in Guangzhou,China. 1.Lead Glass is a brittle and large proportion material,be sure to place them in a gentle way. 2.Keep a well combine between the glass and the wall,to avoid the Scattering and Leaking Rays there. 3.Since the rich lead and barium,it is sensitive for lead glass to get a pollution of pH and difficult to install or stored in acid gas or wet environment. 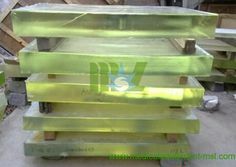 4.The surface of Lead glass is more easily scratched than ordinary glass,shall handle carefully. 5.There must be no bending caused by breakage or any shocks among the Protecting Facilities,do not loose and swing.Make sure to replace or repaire when inch of Lead class not meet the requirements. 6.Protective measures should be able to alert people the leaded glass exist there,but also to block the violent impact caused by human body,and also play a decorative role in our lives.With the translucent size becomes larger,the protective equipment of Lead glass should be able to withstand a concentrated impact force. 7.In the unilateral or bilateral of lead glass,a fence should be set or place flowers and such decorative things,and the protective frontage should not be too small or too narrow.A vertical protection should be aligned with the center of lead glass,and the highest level of protection should be located near the floor more than 800 the area within 1100mm. 8.To arrive the purpose of preventing the human impact of cheap lead glass and caused the damages,the most fundamental is the most effective way to avoid the human impact of lead glass.Make eye-catching signs in the lead glass to indicate its presence,or make it difficult to near the lead glass. The above description is a lead glass protective measures made by us,hope it do a help for you sincerely. Lead glass,as the main products of our manufacturers now,if you are interested in it,welcome to our home and have a free talk,we sincerely look forward to cooperating with you!